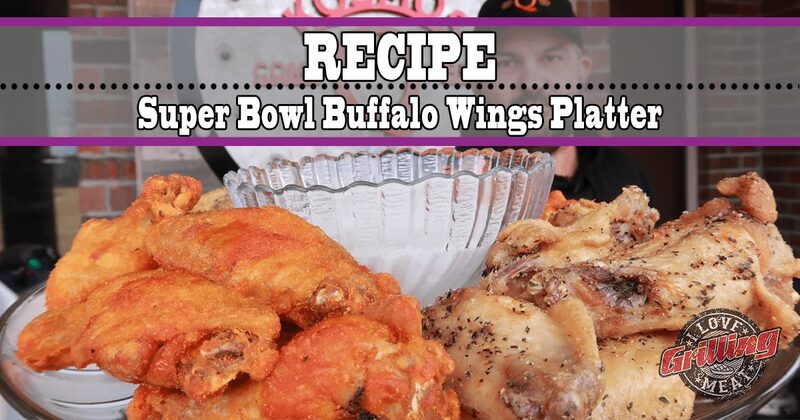 No game day is complete without a platter of Super Bowl Buffalo Wings. A home run of a cook that is so easy to prepare, some will call it cheating! Get your wings out of the packaging, then rinse off with cold water. Pat dry thoroughly with a towel. Pick your weapon of choice: Grilled, smoked, fried or in the oven, these babies about to blow some taste buds out of their mouths! The wings don’t need to be seasoned prior to cooking. If you go with frying, heat up the oil and fry each batch of wings for about 15 minutes. If you grill or smoke, aim for the 250ºF-275ºF range, and pull at an internal temperature of 165ºF. When done cooking, place the wings in a container that closes with a lid. Sprinkle with wing dust to taste, close the lid, and shake the container until the wings are coated. If you want to try different wing seasonings, use a different container for each in order to keep them separated. And that’s about it! Present the wings on a platter, and serve alongside a bowl of blue cheese or ranch dressing.